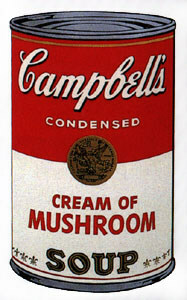 Andy Warhol gained the success he sought when he launched his Campbell’s Soup Cans in 1962. 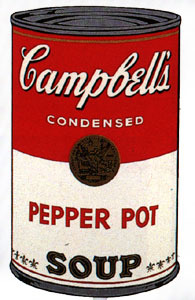 Today, the Campbell’s Soup Cans impressions are iconic and symbolic of what Pop Art was and is today. 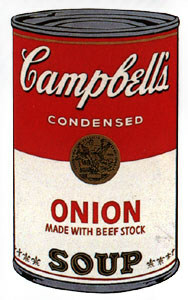 These Sunday B. 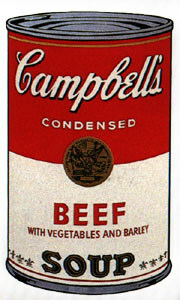 Morning Campbell’s Soup Cans are exacting in detail to the original Andy Warhol Factory Editions from the 60s. In fact it can be very difficult to tell them apart. 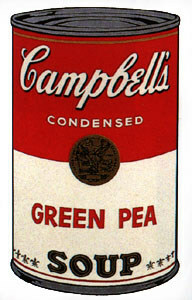 Andy Warhol signed his prints on the verso, making them even more difficult to tell apart. 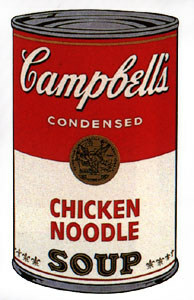 Andy Warhol Campbell’s Soup Cans are priced starting at $30,000 a print. Sunday B. 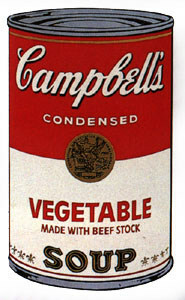 Morning Campbell’s Soup Cans allows us the opportunity to own a piece of Andy Warhol Campbell’s Soup Cans, without the giant price tag. Thank you for your comment. 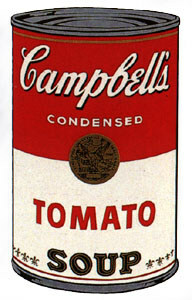 The Soup Cans are awesome and almost exacting to the original Warhol prints from the 60s. I’ll email you directly to your gmail account regarding your inquiry. Looking forward to talking. 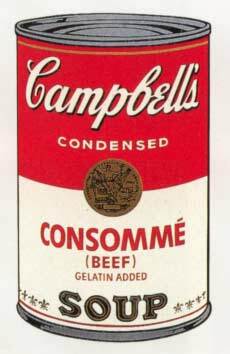 I’d like to purchase a screen-print of Beef Consomme. Would you advise as to price and shipping?